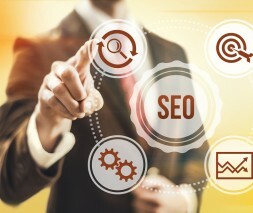 This is the first in our series of posts on seo. We thought we’d start with the basics for small businesses to get a better understanding of seo. Small business seo needn’t be an over complicated subject matter, on the contrary it can be very easy for small business owners with very little understanding of seo to tick a lot of the right boxes. Following much of the pointers we are going to list will help you improve your websites visibility in all the major search engines and help to get more of the right visitors website. we will be focusing on a number of vital seo basics such as keywords, meta data, social media, seo copywrting and link building. Let’s kick off with the importance of keywords. 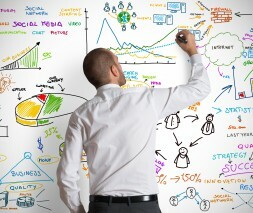 Keywords and the correct selection of them are at the fundamental heart of any properly done seo process. There are plenty of tools available on the internet to help you choose your keywords with google providing a fairly decent keyword tool for free. What kinds of services or products are you offering? What would you search for if you were looking for your type of business? When you use a keyword tool you will be able to gauge the competitiveness of the keywords. Do a quick search using one of the keywords you have chosen and see if the search engine results contain any of your local competitors. If they do you’re more than likely on the right track. One important thing to point out here is not to select too many keywords for any individual page on your website. 3 or 4 keywords (based on your keyword theme) per page is ample with a keyword density of 2 or 3 versions of those keywords for every 100 words of text you write on the page. Exact match sentence: If you are looking for a Cardiff building firm look no further than us. 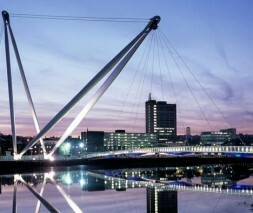 Phrase match sentence: Our family run building firm is located in the heart of Cardiff. Putting the keywords in your meta data. Once you’ve identified your keywords for each page and written them into your on-page copy you will need to look at your meta data. This is made up of your page title and your description snippet. Both of these are incredibly important for letting both prospects and search engines what your web page is about. They are essentially a quick summary of what potential visitors can expect to find if they click on your listing in the search engine. You must make this part of your on-page seo as relevant as possible and use both exact match and phrase match keywords when writing them.